Welcome to Shaolin Kung fu Institute Flemington, the only traditional Kung fu school in Flemington, New Jersey. We are the home of Northern Dragon style Kung fu (Lung Jop Pai®), an effective, street applicable self-defense martial art. 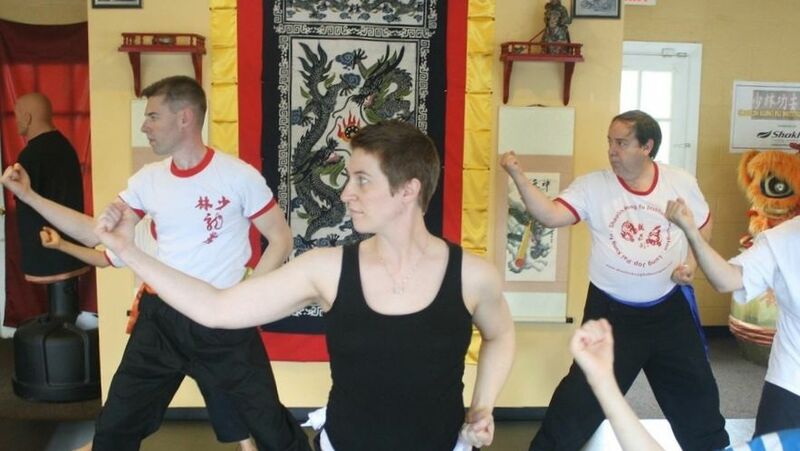 At Shaolin Kung fu Institute, we emphasize teaching the philosophy and customs of the traditional Chinese martial arts as well as the unique techniques of this Kung fu style. Our classes are designed for beginners, intermediate, and experienced students. We teach students of all ages and ability levels, and offer the best combination of individualized instruction and group interactions. You will learn to breathe properly, punch properly, block properly, kick properly, and move effectively. You will learn to defend yourself! Students execute techniques in a basic form to warm up at the start of a class. Northern Dragon Kung fu is a traditionally taught self-defense art passed down directly from teacher to student for hundreds of years. From Kwangtung Province, China, to contemporary New Jersey, these techniques have remained pure as has the instruction of the style. The art is taught progressively from proper breathing utilizing qigong, to basic stances, stepping patterns, blocks, strikes, and kicks; to basic chin na techniques; to basic shuai and takedowns; and on to more advanced techniques. This is a complete art that will teach you to defend yourself effectively. We have children’s martial arts classes in which we teach kids ages 7 and up. Even Bruce Lee and Jackie Chan started somewhere, right? Kung fu is a great activity for building confidence in kids! Shifu Mack and Sije Ally demonstrate techniques from a striking and blocking exercise. A Junior Instructional Staff member assists a young dragon with his techniques. We take the instruction of Kung fu and the philosophy and history surrounding it very seriously. Though we respect other types of martial arts, we do not teach any other arts at this school, or at any of the other campuses of Shaolin Kung fu Institute. We are not Karate. We are not Tae Kwon Do. We are a Kung fu school, and extremely dedicated to the traditions and customs of our art. 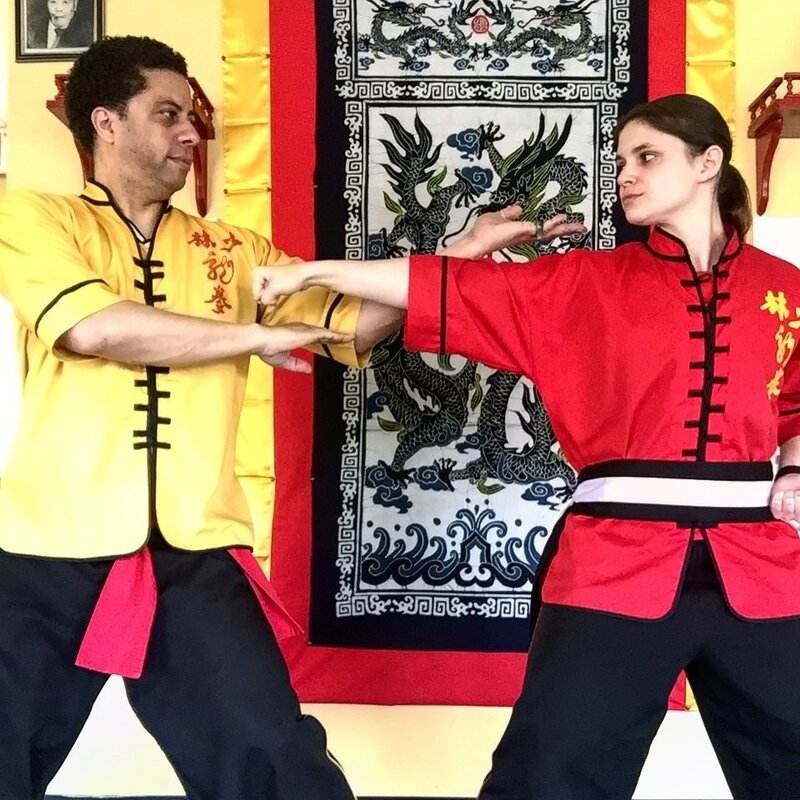 We also offer instruction in traditional Chinese energy flow for mindfulness and muscular strength, as well as instruction in traditional Chinese weapons. Weapon instruction follows basic instruction of empty hand techniques. Students learn that the weapons become extensions of the arms. Students work through the techniques of a form. Our school is easily accessible by students in Flemington and the areas surrounding Flemington, such as Clinton, Washington, Voorhees, Somerville, Bridgewater, Hillsborough, and other nearby towns and cities. ​The school was featured in The Hunterdon County Democrat newspaper! Kung fu can be a family bonding activity, and to promote this we offer parent classes during all of our child classes. We offer a no contract policy--students pay on a month-to-month basis. The Introductory class is free! Located in The Shops at Paul Bunyon Village, 117 Broad Street, just off of Church Street, conveniently located in the heart of Flemington, New Jersey! 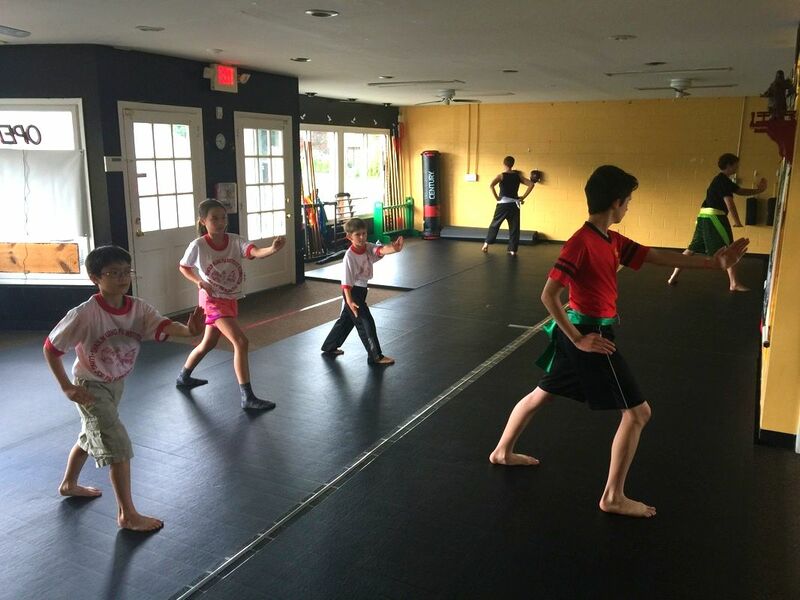 Shaolin Kung fu Institute Flemington offers children's and adult classes in 1-hour blocks. PLEASE NOTE: Students in the Standard Training Program may not exceed their 3 hours maximum of weekly training. Lung Shou students may not exceed their 6 hours maximum of weekly training. We are located in the heart of Flemington, at 117 Broad Street, Units 3 & 4 in Paul Bunyon Village.